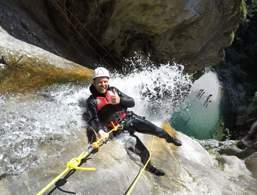 Canyoning at Lake Garda. Discover Lake Garda! Ice-cold water, roaring waterfalls, steep rocks and breezy suspension bridges: this is not for the faint-hearted. 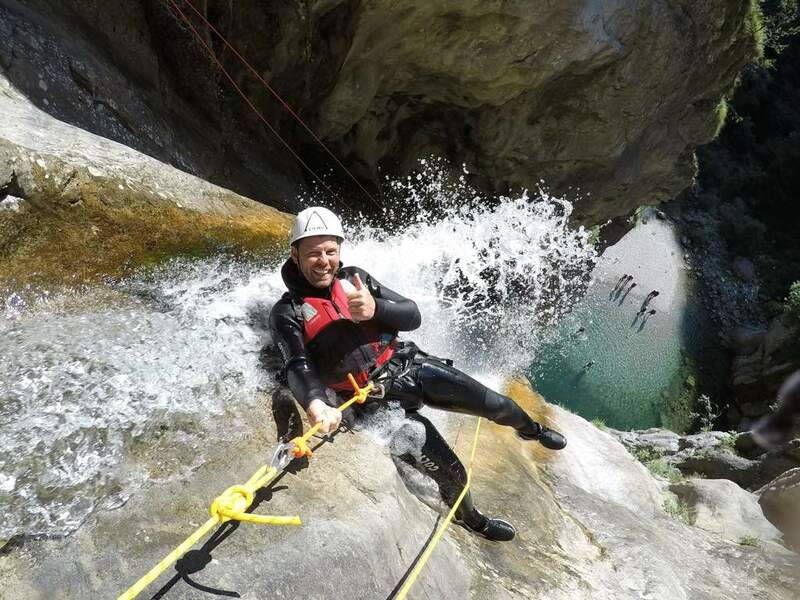 Canyoning is solely reserved for daredevils! It's pure adventure in rugged gorges, and at Lake Garda, it's becoming more and more in demand. The hot spots for canyoning on the lake are located in the north and northwest. The rough mountains are the ideal terrain. Experienced canyoning guides lead you to the most beautiful and exciting ravines. They know exactly where to go and will lead you safely through the rocky territory. Equipped with a helmet, wetsuit and non-slip shoes you can discover the most hidden corners in the canyons. 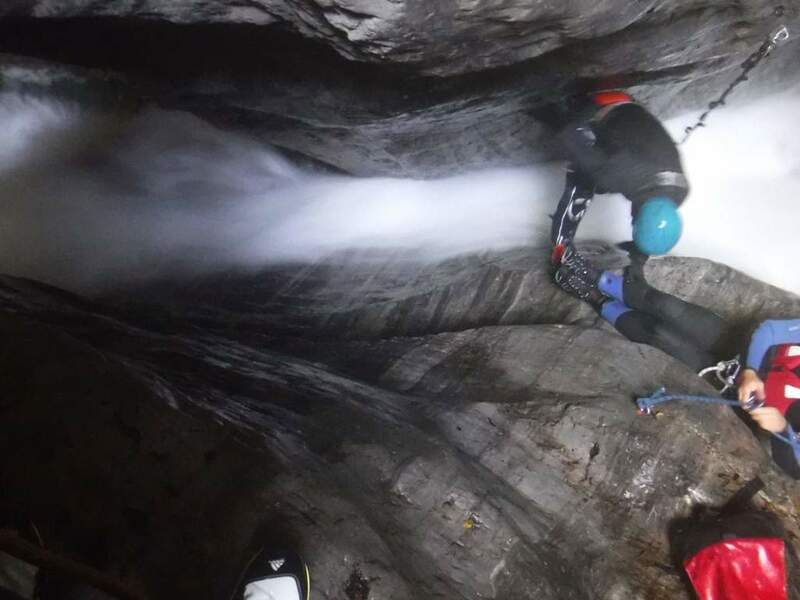 Specific skills are needed in canyoning, and you shouldn't have any fear of ice-cold water. You swim in raging mountain streams, jump into waterfalls, cross shallow, crystal-clear lakes and sometimes you have to abseil from some pretty high ledges. There's certainly no place for fear of heights with canyoning! In the North and Northwest of Lake Garda, there are ideal conditions for this exciting sport. 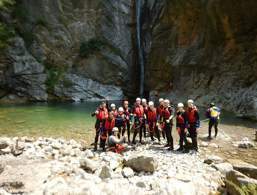 Canyoning is an exciting adventure and not suitable for persons suffering from acrophobia. 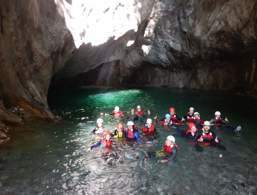 The environs of Lake Garda are ideal for canyoning- The exciting sport promises adventures and physical challenges. 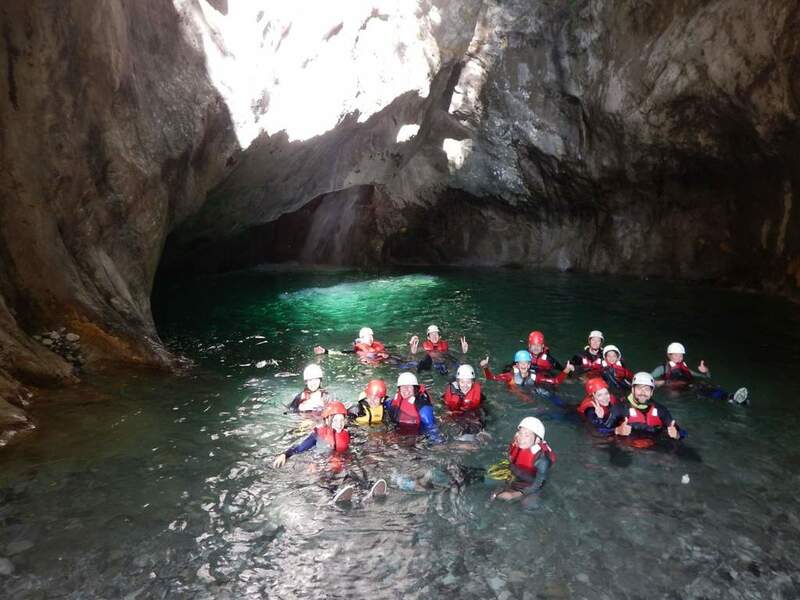 SKYclimber guarantees fun, safety and unique experiences during canyoning, mountain biking and the via ferrata - with highly trained, English-speaking guides and small groups! Family tours for children from 6 years! Free photo service with waterproof cameras.